When it comes to finding the right commercial real estate agent to fit your specific needs, it can be a surprisingly difficult task. After all, unless you are well versed in commercial real estate yourself, how do you know what qualities you should be looking for in a CRE agent, in order to best meet your needs? While some people may feel comfortable foregoing the services of a commercial real estate agent to sell or lease their commercial space on their own, the majority of building owners choose to employ the services of a commercial real estate professional. 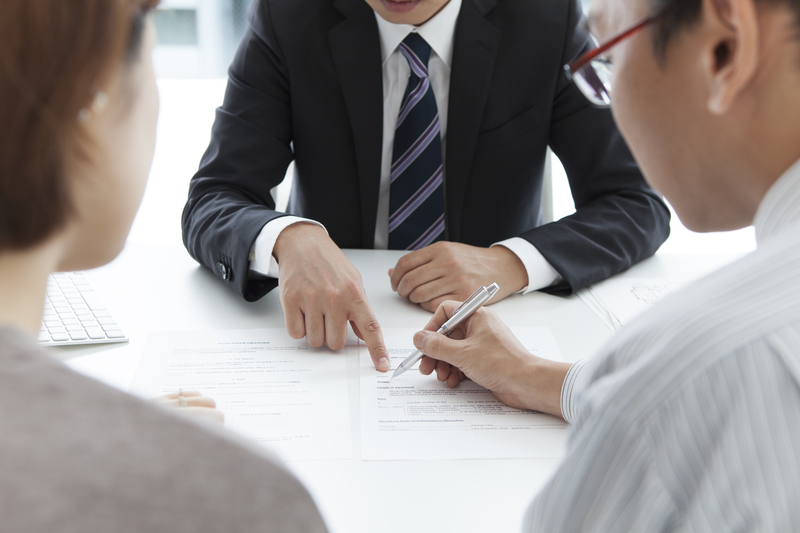 But what should you look for in a commercial real estate listing agent? Let’s take a closer look. While this may not seem like a deal breaker, it actually should be. There are tremendous differences between buying and selling commercial real estate versus residential real estate. You will want to make sure the listing agent you choose is someone who is experienced in helping commercial property owners sell or lease office, retail, and other commercial spaces — and NOT someone who works primarily with houses or condos. While it may seem obvious, we still think it is worth mentioning. Be sure to look for someone who has been in commercial real estate long enough to fully understand how various commercial deals are carried out, as well as how tenants or buyers and their brokers work. What’s more, an experienced and successful listing agent will also have the financial stability to truly put your best interest at the forefront of any and all potential transactions. Think about it — in most cases, a listing agent gets paid once the deal is closed. A listing agent who isn’t hard pressed for a big commission check will be less tempted to rush through negotiations or settle for an offer that doesn’t reflect the true worth and value of your property. While the personality of your listing agent may seem like something that is more of a nicety than a necessity, it’s important to understand how several key characteristics can have an impact on the success (or lack thereof) of your commercial real estate transaction. You will want to work with a listing agent who has excellent communication skills that include a unique combination of persistence and tenacity — with politeness. Further, you will want to look for someone who strives to be a creative peacemaker, but one who is also determined to overcome all objections, challenges, and obstacles that may stand in his or her way. These characteristics can all assure you that you are working with the right agent, who will ask all of the right questions and will anticipate any number of unknown factors that may arise throughout the sales process. The truth is, quality listings agents will often seek you out through network connections, word of mouth, a referral, or even cold calling. But if you’re in the market for a CRE listing agent, you have some choices. You can ask someone that you trust, such as a friend or a colleague, or you can also talk with someone who has a relevant involvement in any particulars that you may require, such as a contractor. Doing a little due diligence up front to make sure you find the right listing agent can go a long way in helping to ensure a smooth sales process. This entry was posted in Ashby Real Estate Group News, NAI Dominion News on March 26, 2019 by Lauren Henderson. With today’s technology that seems to be evolving at the speed of light, combined with new generations of younger employees, diverse and differing business models, and marketing competition that is ever changing, how can a commercial real estate building not just stay afloat, but actually thrive in this age of continuous change? Whether you are just acquiring your first commercial building, or you are a true veteran in the industry, there’s no denying that there are some new challenges that are headed your way, in order for your building to remain relevant. Technology changes at such a rapid pace that is nearly impossible to predict or plan for the next big innovation or revolution in technology. However, the physical structure of a commercial building — the steel, the glass, the brick and mortar — are on entirely different schedules of the time. While those in technology talk about timelines in terms of months or even years, those in commercial construction talk about timelines in terms of decades. 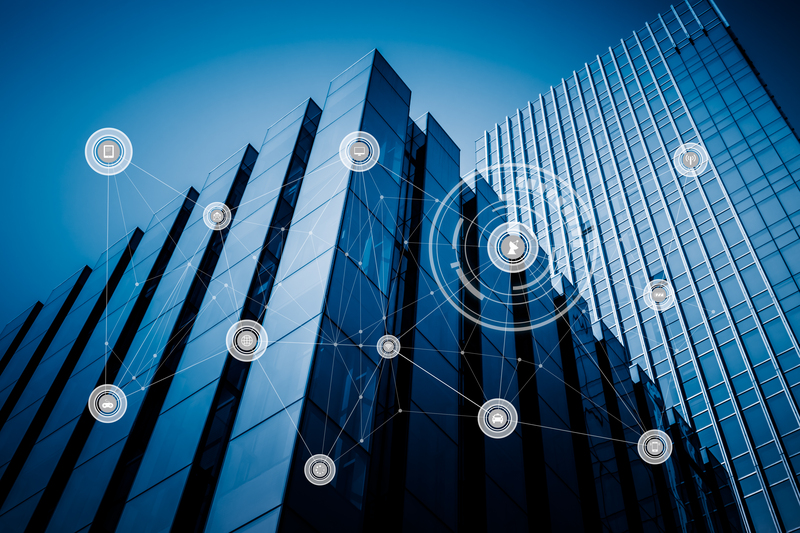 In other words, given the rate of change we’ve already seen with technology, there is no way to predict what types of smart building capabilities that will be available to commercial tenants in the next 10 to 20 years. And while we simply can’t plan for the unknown, savvy CRE owners are doing all that they can to try to prepare for future — today. With this in mind, we put together a list of 3 ways to help future-proof your commercial real estate building in 2019. Read on to find out more. And while this is great, it’s important to ask yourself the question of if you have all of these sensors connected to your devices, what problems would you like to solve? Are you looking for better billing data for your tenants? Better benchmarking and equipment performance? Faster response to any problems that may arise in your building’s equipment? The answers to these questions will not only tell you the types of solutions that you want, it will also help to define the infrastructure of the networking within your building. 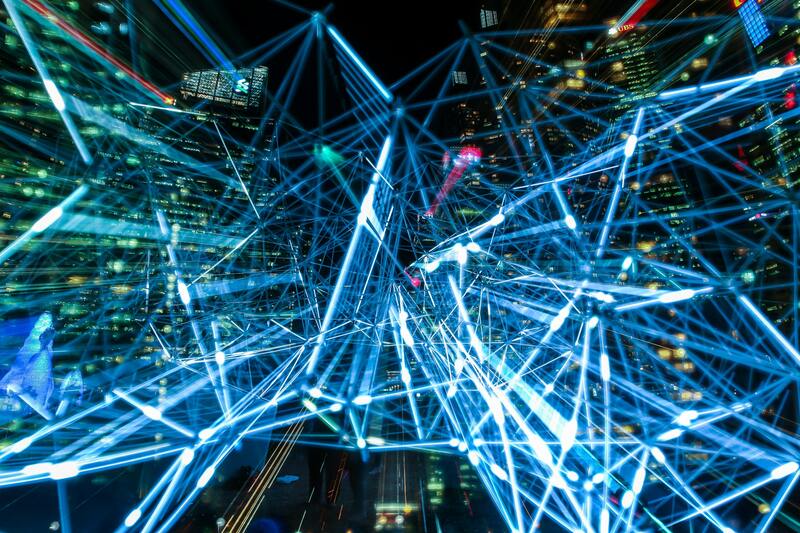 And depending on the types of sensors you have in place, the frequency at which you receive your data will differ — which also tell you how you should set up your building’s networking. For instance, if you are trying to capture a crucial piece of equipment that is central in the health or safety of your building or its occupants, you will want to be sure that you have a very fast connection that is encrypted, whether that is through WiFi or ethernet. Conversely, if your’e trying to measure incremental data, such as leak detection or temperature data, these sensors send updates far less frequently, and you will need to ensure that your networking infrastructure supports this (typically with a sub-gigahertz connection). Finally, you need to make sure that all of your systems are integrated or know how to speak to each other. Make sure the context of your data is easy to understand — think about it: no one would want to read a sensor from its serial number. Rather, it’s easier to be able to look and quickly determine that a specific sensor is located on a certain floor even in a certain room. The lifespan of your data is also important. Of course, it’s important that you have “real time” access to your data, so that you can be informed of any problems that may arise as soon as possible, but it’s also important that you store as much of your data as possible — and for as far back as possible. You never know when you will need to look something up or have access to data that is older, to help you better understand a current problem. It is critical that your data be backed up securely and in a cloud-based system. Security is always important, so your data needs to be encrypted, to help protect your sensitive information. And a cloud-based environment will allow you to benchmark your data across a number of buildings, and access the data from anywhere in the world. This entry was posted in Ashby Real Estate Group News, NAI Dominion News on March 25, 2019 by Lauren Henderson. This entry was posted in Ashby Real Estate Group News on March 22, 2019 by Lauren Henderson. 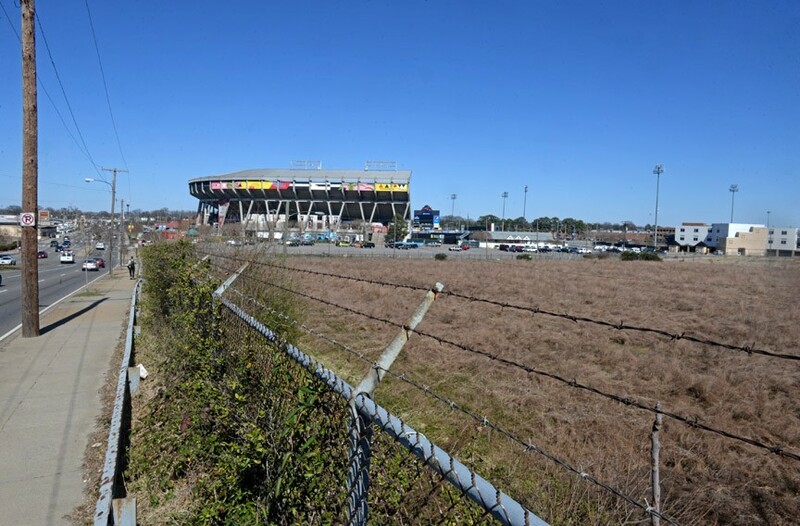 Richmond officials say the city desperately needs revenue. But a potential gold mine has been sitting undeveloped for nearly two decades. Click to continue reading. This entry was posted in Ashby Real Estate Group News on March 21, 2019 by Lauren Henderson. Millennials are currently the age group most heavily impacting many industries, including commercial real estate, but Generation Z is hot on their tails. Gen Y, more commonly known as Millenials, are currently between the ages of 23 and 38 and were born between 1981 and 1996. Generation Z is the newest named generation, and are between the ages 3 and 23 years old. Both generation have grown up with technology in the majority, if not all of their adult lives. America’s younger generations have also been put in an interesting economic situation that has often left them riddled with student debt, and less likely to afford luxuries their parents did. However, that has not stopped either the Millennials or work-aged Gen Z from shaping the commercial real estate industry and impacting it to change in new and exciting ways. How? Let’s take a look below at a few things you, as an agent need to know about how these generations are shaking things up. Millennials and work-aged Gen Z’s are more likely to work remotely than any previous generation. According to a study done by Deloitte, 75% of Millennials want remote work styles to become universally accepted. They feel that if offers more flexibility and boosts productivity. This trend will likely continue into Gen Z when they enter the workforce. This creates changs in the office sector of CRE. Flex space and third spaces will become more important, and creating options for telecommuting will create additional profitability. Many Millennials can remember a time when technology was not a regular pare to their lives or was very rudimentary — think dial-up, AIM, T9 Texting, MySpace for social media. However, Gen Z has always had advanced technology in their lives. This means that technology will shape the CRE industry moving forward. Connectivity, fast Wi-Fi, smart options, and tech integration will become a necessity in nearly all CRE aspects to make it marketable to both generations. It is no secret retail is an ever-changing sector. 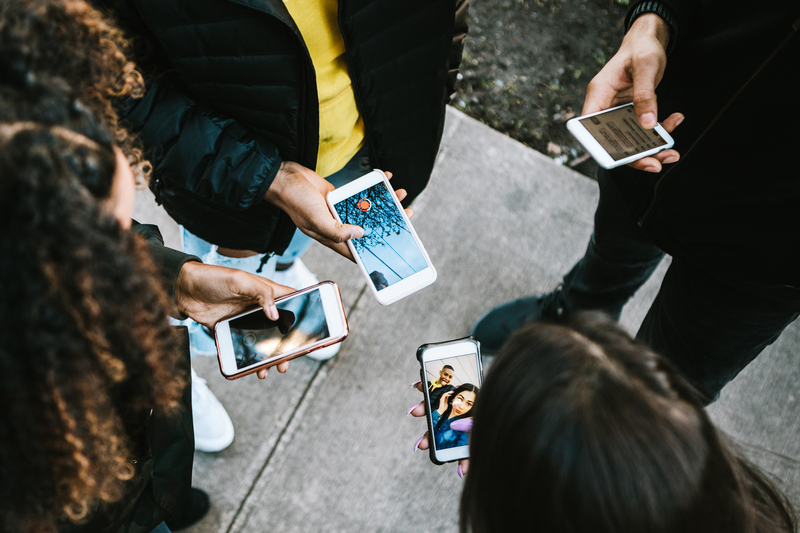 With the explosion of e-commerce, retail markets will have to focus on evolving to suit the needs of Millennials, but more importantly Gen Z. Gen Z is focusing more on experiences rather than actual buying. Shops like Bonobos that showcase an online stock or renovation of traditional retail stores to offer services is where it’s at. Success will be found in building relationships, brand engagement, and experience-based shopping. Another trend that is prevalent to Millennials but poised to be of utmost importance to Gen Z is the ability to be eco-friendly, ethically sourced, and carbon minimal. Marcie Merriman, an expert on anthropology, culture, and brand strategy says that Gen Z will look into granular details like what type of building materials were used, how kindly the workers on the development were treated and more. Additionally, locations for investment or tenants will be chosen based on environmental impacts. This leads to various sectors of CRE including multifamily, office, hotel, and industrial. Overall, Millennials have mad a major impact in CRE and Gen Z is expected to change the scene even more. The companies, brokers, and individuals who evolve and grow, with these generations, rather than resisting change will be the ones who thrive and continue to profit into the future. This entry was posted in Ashby Real Estate Group News, NAI Dominion News on March 21, 2019 by Lauren Henderson. Technology has moved on from being a luxury to a necessity. As a society, we now thrive on being constantly connected. In, fact, the average American spends about 24 hours a week online and one in five people spend 40 hours per week connected according to a study done by MIT. So Is your commercial real estate property wired for today’s tech demands? Commercial investment properties thrive on good returns for investors. So, to maintain happy tenants and reduce vacancy, it is important to give them what they want, use, and need. Considering a large majority (around 80 million people) are Millennials, who grew up with technology in their lives, technology is deemed as a vital necessity — specifically when it comes to connectivity. In a study done by Radius Global Market Research, it was found that a building’s ability to connect to the internet properly profoundly impacted tenants choices in choosing a property to lease. Location was the only factor that seemed to have a greater impact. Not only that but 79% of tenants are willing to pay a higher rate per square foot, for a more superior connectivity infrastructure and 77% say that would sign a longer lease as well. As 5G looms on the horizon, check into having your building utilized as the home of a 5G cell tower, can ensure you have the fastest speeds possible. That being said, as a landlord, developer, or investor the importance of having a building that is wired for the tech demands of 2019 should be a top priority. Keep in mind, though connectivity is one of the main priorities when it comes to tech in 2019, there are other advancements that can ensure your property is ahead of the game technologically. Smart “tools” such as locks, lights, thermostats, and more all give the tenant a sense of control of the environment they’ve leased. This is especially pertinent if your property is in the multifamily sector. In office sectors adding tech tools such as AI security robots and Bluetooth access credentials will allow tenants to have an optimal sense of security when arriving and leaving work. Parking garages will also need to get smarter to accommodate the tech advances made in the automotive world. Properties that include smart/electric car chargers, designated spaces for ride-share drop offs, and future autonomous vehicles will show that you are ahead of the curve and looking toward what is to come. Of course, if you are developing a new building from the ground up it is easy to include these technological elements. However, in an existing building. it is important to go case by case to see what your property can support technologically, and how quickly it can be implemented. It is best to refer to a professional if you have any questions on how you can develop your building to be a frontrunner on the tech scene. Asking a real estate professional can give you knowledgeable insight on what’s comparable and what you can do to make sure your property is ahead in the tech game. This entry was posted in Ashby Real Estate Group News, NAI Dominion News on March 18, 2019 by Lauren Henderson. This entry was posted in Ashby Real Estate Group News, NAI Dominion News on March 12, 2019 by Lauren Henderson. Many investors in the multifamily sector have been pleased with the economy’s current status. They have been enjoying benefits and profitable returns, and some of them have come in unexpected places. Specifically, a few submarkets have shown up as leaders in rental growth during the past 8 years. RealPage, one of the leading providers of real estate software and data analytics, looked at 671 submarkets. These submarkets comprise the 50 biggest multifamily markets in the United States. They rated them based on rental growth from the year 2010 until June of 2018. Let’s take a look at a few of the top performing submarkets for multifamily rent growth as shown in their study. This submarket of San Jose was ranked number 1 in rental growth. It saw a whopping 69.7% increase in the cycle overall. 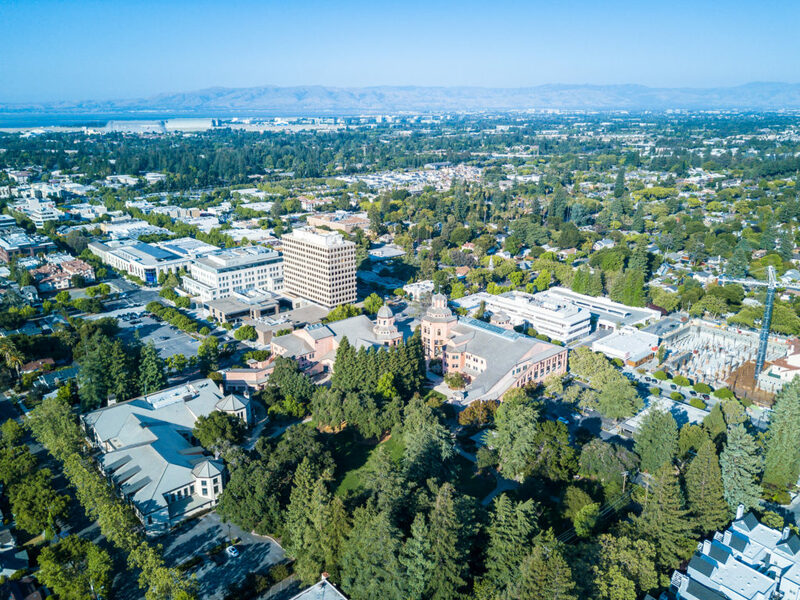 Considering it is in the heart of Silicon Valley, it is home to some of the more expensive rental rates for Bay Area submarkets, with average rents of more than $3,300. Fremont is somewhere between Oakland and Berkley, California. It normally falls behind on the rental scales, however, this cycle saw an increase of 60.8% Although rental rates are around $2,300, this fears a bit higher than Oakland rates but much lower than rates in San Jose proper, or surrounding areas. This submarket is located outside of Denver and has become one of the metropolitan area’s top performers regarding rent growth. Aurora contains mainly Class B apartments and has seen a 7% increase on rental rates annually on average. The total cycle rent growth was just under 60%. Redmond, WA is a Seattle suburb in the pacific northwest of the U.S. This area saw staggering rental rate increases in the cycle at 62.3%. This is a specifically interesting area because it is home to major companies like Microsoft and Nintendo. However, rental rates are around $2,000, which is far less than in comparable areas. Aloha, Oregon is a few miles west of Portland. Rental rates saw a growth of 60.1% between 2010 and 2018. Monthly, rent can run tenants at about $1,325, which is quite reasonable in comparison to other west coast areas. The shocker surrounding this study by RealPage is the fact that leaders in the highest rated submarkets are ones who are normally outperformed. It seems these markets are closer to more affluent neighborhoods with strong economies. It is clear that the thriving economies are drawing renters to suburbs where they can maintain jobs in the areas with profitable economies while living in more economical locations. Not surprisingly, we all see all of the top 5 submarkets in the western United States. The west, specifically California, is known for steep rental rates. The rental rates are suspected to balance out in the coming years, so it will be wise to watch the multifamily sector in these areas as the rates continue to rise. This entry was posted in Ashby Real Estate Group News, NAI Dominion News on March 7, 2019 by Lauren Henderson. Office space is a unique sector. Offices need to be functional while suiting many different roles, employees, and personalities. Some offices have argued that an open format workspace is ideal. However, many open spaces can be noisy, full of distractions, and lack privacy. On the opposite side of the spectrum, we have cubicles. These spaces help ensure you have privacy and fewer distractions, but you are basically closed off from interaction and collaboration. In an effort to find a happy medium, you may have heard about flexible spaces. Flexible office space is considered an alternative to more traditional office styles. It allows for versatility, which has begun to change the game and benefits employees and employers alike. A flexible office presents diversity in the areas employees can work, and often combines open layout office space, and private cubicles or workspace. Multiple options allow different types of employees to thrive. Most flex workspaces, as they are also known, utilize modular furniture and easy to move dividers to allow the space to be changed if needed. This creates a cost-efficient and effective option if something needs to be altered or redesigned in the future. Additionally, this allows you to support the growth or change of a company. You can reconfigure the size, shape, and style of work areas if needed. Companies are also able to support remote and contracted employees, or temp positions with ease. This alleviates the need to generate space in a pinch. Flex workspaces also encourage employee interaction, without forcing them to interact, as an open workspace can. It helps facilitate lines of communications and promotes employee happiness overall. 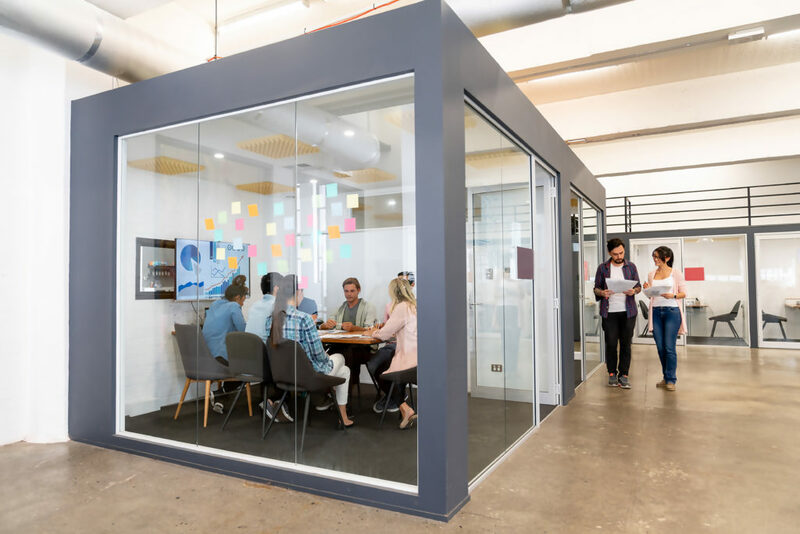 Additionally, 72% of those surveyed by The Instant Group said they felt the growth of the flex workspace in the office sector had a positive effect on their work. In major metropolises like Miami, Boston, The Bay Area, and New York flexible office space has proven effective in making sure companies feel like they are getting the most from their leases. This is also giving investors and landlords better returns. When looking at real life profitability of flex workspaces, we can observe CommonGrounds Workspace in San Diego. This company operates flexible office spaces in the western U.S. Recently, they announced they raised $100 million toward expansion. Within the next few years, they plan to operate around 2 million square feet of flex workspace. As we are required to work more, it is important that the office space expands into something that facilitates employees, employers, and building owners where the offices are housed. Flex workspace seems to do just that, and it is exciting to glimpse into what it has to hold for the future. This entry was posted in Ashby Real Estate Group News, NAI Dominion News on March 6, 2019 by Lauren Henderson. The notion that a picture is worth a thousand words is by now a cliche, sure — but that doesn’t mean that it’s not true. In fact, quite the opposite is actually true. When it comes to marketing any commercial property, one of the best and smartest investments that you can make is in professional photography of your space. But why? The answer is simple. 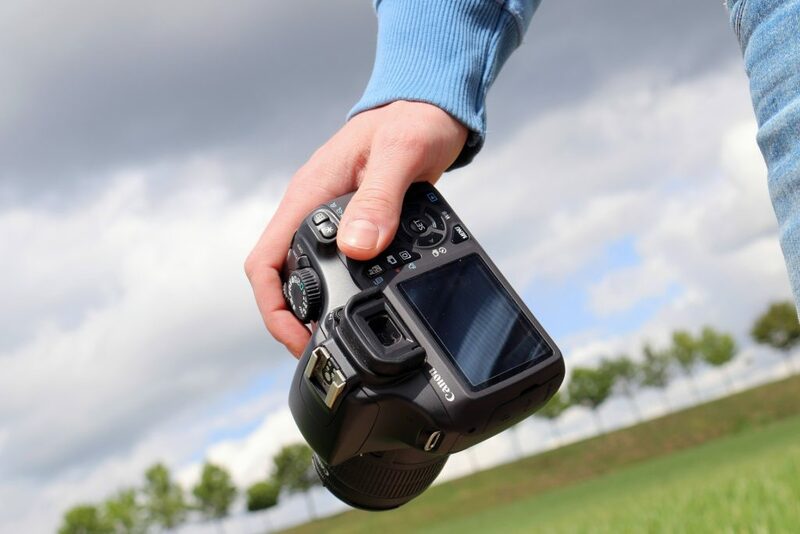 High-quality photography can be used across a number of different marketing touch points, including your website, print pieces, and other collateral. But one of the best ways to use your photos in listing portals. It’s no secret that the commercial real estate marketplace is becoming more competitive, so having compelling photos of your space can be a great way to set your property apart and capture interest more quickly. It seems obvious, but you would be surprised at how many people simply don’t take the time to properly declutter a space before photographs. Marketing your CRE property is all about selling your space to potential tenants or buyers. This includes the location, physical space, the benefits of any amenities offered, and more – but it does not include the stuff (aka clutter) inside your space. A good rule of thumb is to remove as many things as possible, without causing the space to feel stark or cold. Properly sized and staged things can give the space needed proportion — but too many will make your space look small. While curb appeal is undoubtedly talked about more in residential real estate, the truth is that first impressions matter everywhere. Have your landscape crew tidy up around the property just before the photos are taken, and add seasonal, colored plants into your landscape design ahead of time. Have the maintenance team or an outside cleaning crew wash all of the windows, replace any burned out light bulbs, pressure wash the exterior where needed, and tend to anything that may be broken. The most important listing photo for any commercial property is arguable the street view of the property. As such, you’ll want to pay attention to the natural lighting on your property. Take note of the direction of the sun, based on the street view. Keep in mind that most properties will look their best when the sun is low but shining on the building — and determine the best time of day for your photos, based on this information. As any professional photographer will tell you, lighting is crucial. Try to avoid harsh, direct sunlight — but you’ll also want to avoid any dark shadows, as well. A soft and evenly balance of light makes for the best photos every time. Another pro tip to help avoid dating your photos is to make sure you aren’t depicting a particular time of the year or season. Believe it or not, many buyers tend to detach from images — and by extension, your property — when it’s the middle of winder and they see summer photos, and vice versa. In order to keep your space looking balanced and straight, pay close attention to the lines in your photos. Anything vertical should appear vertical, anything horizontal should appear horizontal, and so on. It has been proven that buyers tend to shy away from images where the floors appear to slope or the walls appear to be crooked. While they can’t quite put their finger on what’s “off” with the photo, typically, they tend to view these images — and your property —less favorably. This entry was posted in Ashby Real Estate Group News, NAI Dominion News on March 4, 2019 by Lauren Henderson.